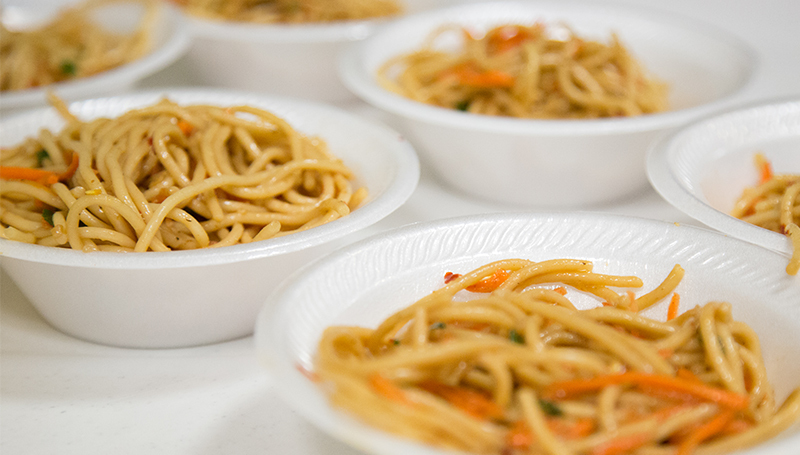 A full Korean meal will be offered by Fresh Ideas from 4:30 to 7 p.m. Tuesday, Sept. 12, in Mayes Dining Hall. The menu includes bulgogi barbecue, kimchi, gyeran-ppang with siracha mayo, tteok-bokki with fresh cilantro, dakkochi chicken skewers with a sesame brown sugar glaze, Korean ground beef rolls, tempura veggies, a ramen station, rice bowls, hotteok (sweet pancakes with pear butter), waffles and ice cream with assorted toppings. Cost for the meal is $8.41, plus tax.